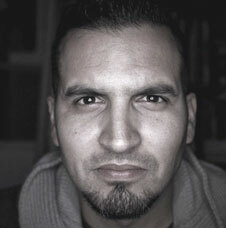 Tony Nuñez is a creative designer living in Southern California. Currently, Tony is the Percussion Arranger and Program Coordinator at Arcadia HS, South Hills HS, and is the Art Director and Program Consultant at RCC Indoor Percussion. Tony also owns and operates Arcadia Uniform & Prop - an online resource for uniform, prop, and performance floor rentals & sales, STAY OTHER - a full scale design and manufacturing studio for the pageantry arts, and the founder and CEO of the Arcadia Music & Arts Symposium - a world class music & arts event held in Southern California and abroad. As a music educator, he is a frequent clinician at Morehead State University, Music for All Summer Symposium, WGI DrumFest on Tour, PASIC, and has held numerous workshops and masterclasses in the USA, France and Belgium. His curriculum focuses on production techniques with digital audio workstations, music composition & orchestration, video production & integration, visual design, live hardware & software applications, and sound reinforcement techniques & management. For the last 19 years, Tony has held numerous arranging, design, and instructional roles with the Blue Devils, Carolina Crown, Phantom Regiment, Blue Knights, Santa Clara Vanguard, Mandarins, Yamato, Impulse, Unik Star, Music City Mystique, and Pulse Percussion. Since 2007, his ensembles have earned 7 WGI World Championship titles, have been medalist for a combined 13 times at WGI World Championships, have earned 10 SCPA Championship titles, have been SCPA Championships medalist for a combined 27 times, have earned 2 Indoor Percussion Europe Championship titles, 2 Indonesian Drum Corps Championships titles, and Drum Corps International medalists 3 times. He is a former member of the Santa Clara Vanguard Drum and Bugle Corps, Riverside Community College Indoor Percussion, Patriots Drum and Bugle Corps, and Black Knights Indoor Percussion. Tony proudly serves on the WGI Board of Directors and Percussion Advisory Board, is a registered ASCAP member, and an Apple Certified Master Pro in Logic Studio. Tony is a Yamaha Performing Artist, and proudly uses Promark sticks & mallets, Zildjian, Evans, Planet Waves, and Digital Performance Gear products.